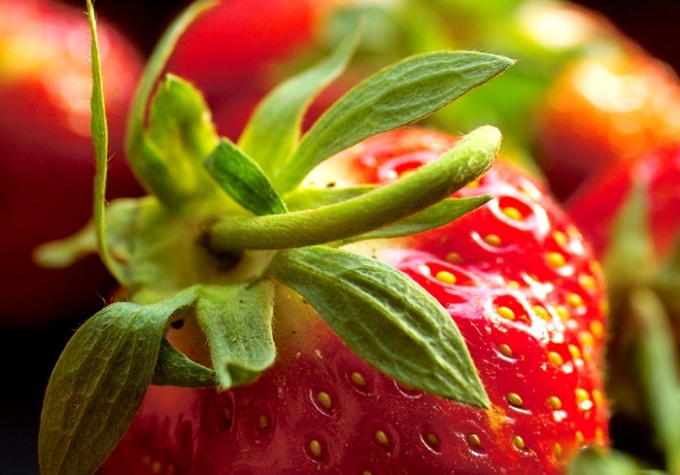 The yield of strawberries depends on the choice of varieties and the future of farming. Not too dry and not too rainy summer, many Sunny days and, of course, properly and timely submitted fertilizing are the main prerequisites for abundant fruiting. Fertilizing strawberries need to start in August-September, immediately after the shot last harvest. It can be any potassium-phosphorus mixture, because they contribute to the laying of flower buds next year. Feed strawberries potassium and phosphorus fertilizers are best early morning or in cloudy weather. Dilute 5-7 g of mixture per liter of water and pour 0.5 l of the roots of each Bush. Before the winter frosts strawberries should be fertilized with organic fertilizers. Make under each plant 2-3 kg decomposed manure or compost soil, then dig the soil to a depth billed pin. Do this carefully so as not to damage the fragile root system of plants. In the spring, once the snow subsides, the strawberry beds to loosen the ground, in advance of dropping 3-4 grams of nitrogen fertilizer per square meter. The higher concentration fertilizer, containing nitrogen, are undesirable in view of possible excessive growth of green mass. During flowering strawberry is very responsive to fertilizing ash. In addition to potassium contained in the ash and other minerals that increase stamina Botanical berry bushes. Besides, ash is a substance with a long history of protecting the strawberry plants from leaf-eating insects. During the fruiting feeding is not recommended. But if the summer was not too generous on Sunny days, as an exception permitted fertilizing with a solution of fermented weeds. Make sure its at the root, trying not to fall on the fruit and twigs, especially of the ovary.